SpineNevada awarded 1st Place in the 2015 Northern Nevada Best Places to Work program. 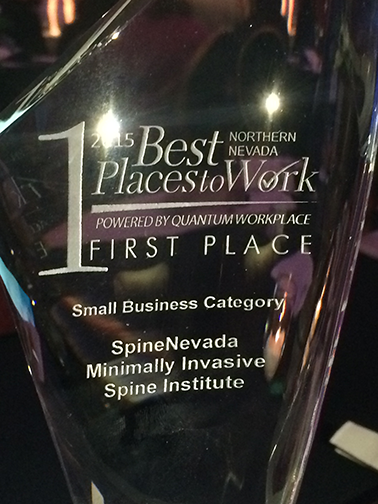 05-07-2015 - (May 7, 2015) RENO, NV - At the Best Places to Work award ceremony on Thursday, April 30, 2015, SpineNevada Minimally Invasive Spine Institute was awarded First Place in the Best Places to Work Small Business category. 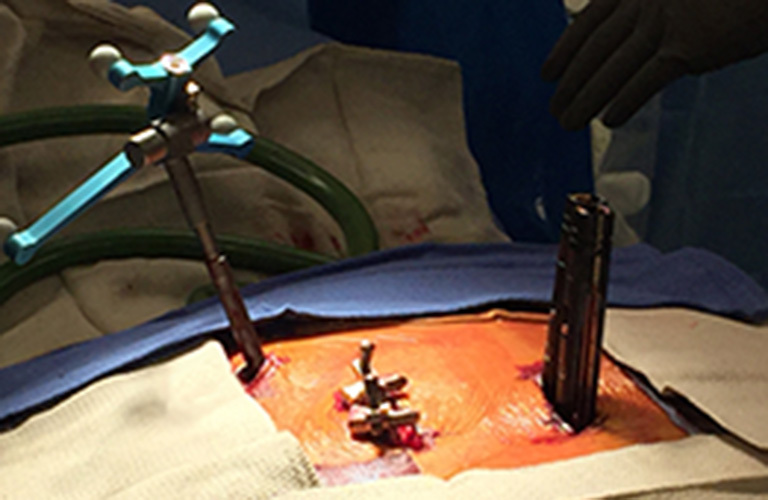 Congratulations to the entire Spine Nevada team!! The Northern Nevada Best Places to Work initiative was created in 2008 to honor organizations who deliver an outstanding work experience. The program is sponsored by the Northern Nevada Human Resources Association, partnered with the Carson City Chamber of Commerce, Carson Valley Chamber of Commerce, Reno-Sparks Chamber of Commerce, Nevada Association of Employers, KTVN Channel 2, and Microsoft. 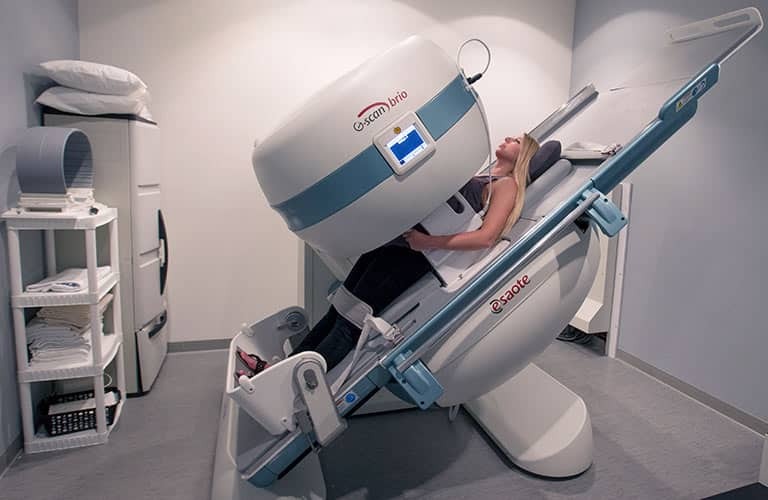 The research for this project is performed by Quantum Workplace. SpineNevada was a finalist in the 2014 Best Places to Work program. Goals of the Best Places to Work initiative include to share best practices of companies that have created positive work environments, to promote the Northern Nevada region and to provide valuable feedback to companies in effort to measure levels of employee satisfaction and engagement. Participation in the Northern Nevada Best Places to Work contest demonstrates SpineNevada’s commitment to employee engagement and helps create a competitive advantage. 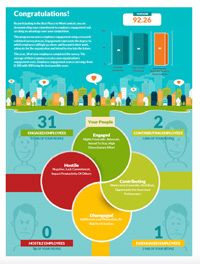 This program measures employee engagement using a research validated survey process. Engagement represents the degree to which employees willingly go above and beyond in their work, advocate for SpineNevada and intend to stay into the future. 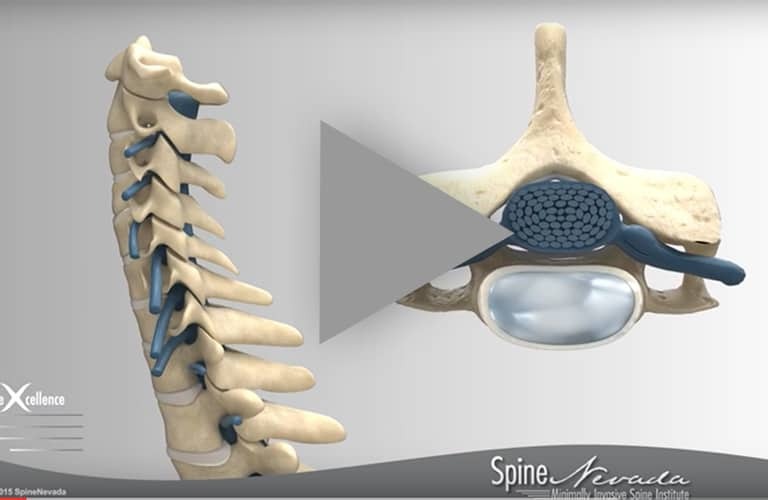 This year, 34 SpineNevada Minimally Invasive Spine Institute employees completed the survey. SpineNevada’s engagement score was 92.26 in 2015. Employee engagement scores in the Best Places to Work program can range from 0-100 with 100 being the best possible score. Click here to download complete results of the employee satisfaction survey.